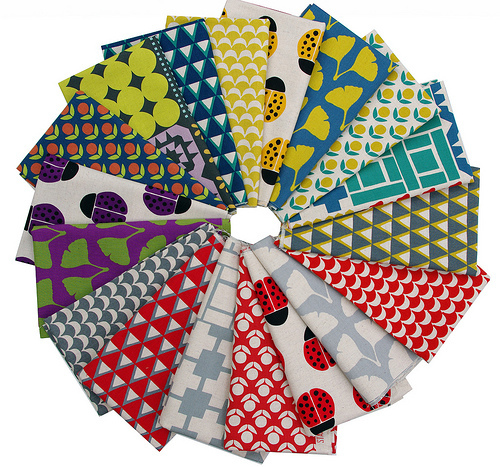 Hot on the heels of Ellen Luckett Baker's debut - Quilt Blocks - fabric collection comes Stamped for Kokka Fabrics. 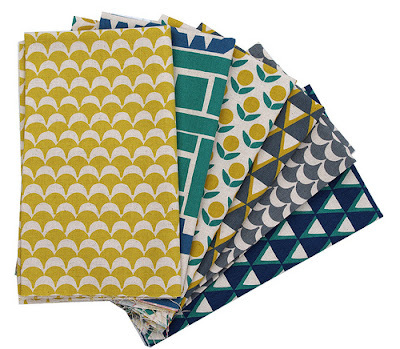 The Stamped fabric range is inspired by the handmade, block print look and features 6 different designs in three colorways - a total of 18 prints. I particular love the reds - teamed with grey and a neutral background. Stamped is printed on Kokka's quality cotton/linen blend base fabric (85% cotton/15% linen). It is a heavier weight fabric than standard quilting cotton, but definitely not to be overlooked when selecting fabric for a quilt! Perfect also for bags, cushions, home decorating, and all your crafting projects. 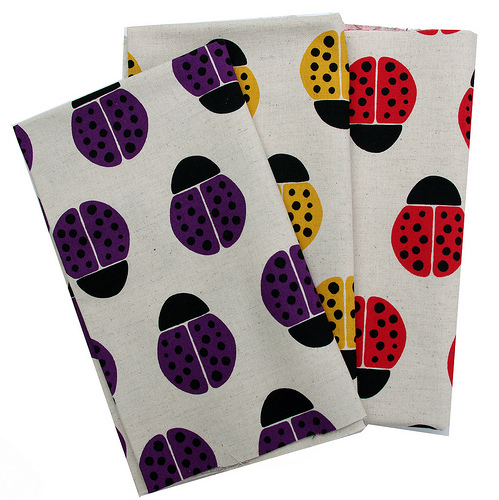 I love those lady bugs. 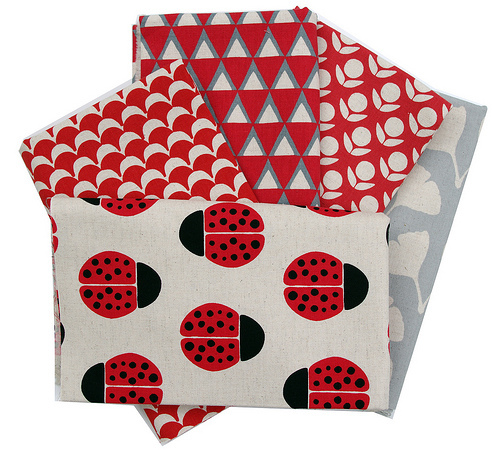 They grey is a great blender but my favourite has got to be the red ladybirds. I might have to be putting this on my stash list. Is linen suitable for quilting? I have never heard of anything but cotton being quilters preferred. Can you elaborate on this? I would be interested in different fabrics...also heard sateen is pretty good for the back of a quilt. Thanks!